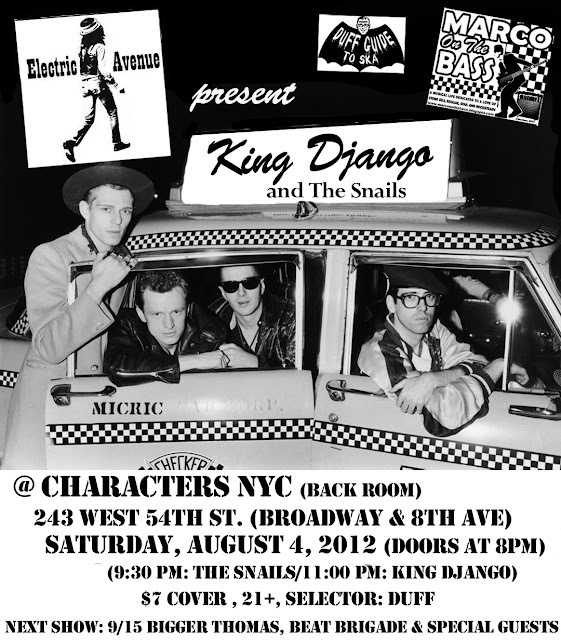 Electric Avenue Update: King Django and The Snails to Headline First Show! 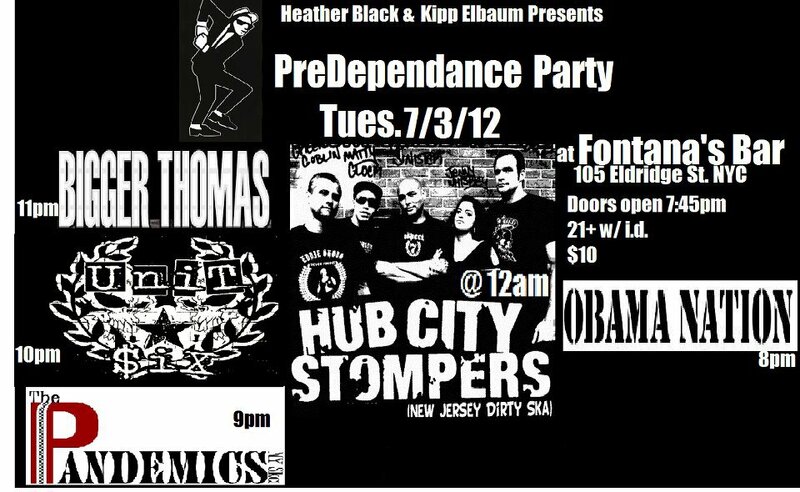 For this gig, King Django will be backed by The Snails (from Philly who also are playing the own set of terrific ska/rocksteady/soul originals)--and I'm spinning some great ska and reggay wax before and after each set. For a taste of things to come, check out the video of King Django with The Snails (playing some of my fave KD cuts, like "Avenue A" and "Does He Love You?") below the updated Electric Avenue flyer. If you're in the NYC area, be sure to make this show! Single 1: Neol Davies "Dolla Fe Dolla" b/w The Dualers "Nothing Takes the Place of You"
While Pauline Black will forever be known as the extraordinary voice of The Selecter (and is currently helming her own version of the band), Neol Davies, as all good students of 2 Tone know, is the songwriter (and guitarist) behind such fantastic Selecter cuts as "The Selecter," "Three Minute Hero," "Street Feeling,""Missing Words," "Too Much Pressure," "On My Radio," "Celebrate the Bullet," and more. Davies proves himself once again to be an ace ska composer with the hard-hitting and extremely (or it is eternally) topical anti-greed/corruption salvo "Dolla Fe Dolla": "You try and ask your MP/Where's all the security?/He's banking it all offshore/and he's coming right back for more...Another catastrophe/they want to blame it on you me/So long before things could change/You'd better stay out of range!" Essential listening (with a great, immediately identifiable Selecterized guitar bridge) for the people expected to pick up the tab for/suffer the consequences of the big banks' outrageously risky and often rigged--see Libor--schemes (and the politicians failure to uphold laws/adequately regulate the financial system). And a damned good ska song, to boot. I want much more of this, Mr. Davies (please!). The Dualers' thoroughly heartfelt/melancholy cover of Prince Buster's cover of Toussaint McCall's 1967 hit soul ballad "Nothing Takes the Place of You" (from their fine Prince Buster Shakedown album--read The Duff Guide to Ska review here) is a spot-on tribute to The Prince--and if you get a chance to compare Buster's cover to the original recording, you'll find that PB's arrangement of the song is vastly superior to the source material. Single 2: Phoenix City All-Stars featuring Dave Barker "Will You Still Love Me Tomorrow" b/w "The Selecter"
Dave Barker and the Phoenix City All-Stars' sweet vintage ska version of The Shirelles' pre-coital 1960 R&B hit "Will You Still Love Me Tomorrow" (penned by Gerry Goffin and Carole King) seems to have been transported straight from 1964 Kingston, JA. Even more striking is the Phoenix City All-Stars' version of Neol Davies' foundational cut "The Selecter," which was kind of a shock at first listen. I fully expected to hear an approximation of the hot summery insect buzz of the percussion, the crisp ska rhythm guitar, and then the lazy and haunting trombone line. 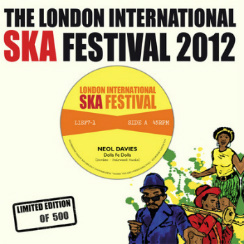 Instead, one is hit with a very brisk, old-school Skatalites rendition of this track. Then you're immediately cognizant of the fact that it's a brave and brilliant re-imagining of a song that is deeply entrenched in the minds and beloved in the hearts of countless 2 Tone ska fans--and to not pull off a radical versioning of the song would have been disastrous (it should be very interesting to hear the other 2 Tone tracks that are re-created as 60s ska cuts on their upcoming Two Tone Gone Ska album). New Beatdown Album "Walkin' Proud"
The Beatdown's s/t debut album is also definitely worth purchasing--read The Duff Guide to Ska review of it here. And while we're on the subject of Prince Perry, check out one of my favorite tracks from Love at the End of the Century...(and if you dig this track, listen to an equally cool alternate version from Prince Perry band member Mitch "King Kong" Girio--who wrote this song--from his King Kong Girio 1 EP). For some time now, fans of The Toasters have been eagerly awaiting the band's new single, which has been delayed, no doubt, by their almost non-stop touring schedule. 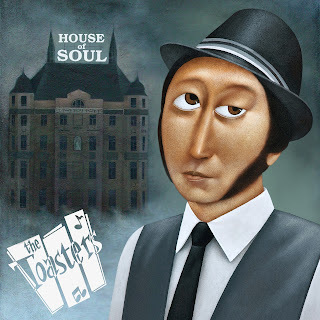 So, I'm thrilled to report that The Toasters stellar "House of Soul" b/w the equally excellent "Going Home" will finally be released this fall, in time for the band's next batch of USA dates. 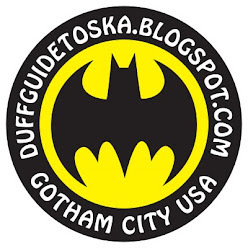 Duff Review: The Soulsteppers "The Return of..."
A fairly recent album by a band in this category (that seemed to slip under the radar) is Return of the Soulsteppers by Bakersfield, California's The Soulsteppers, who are remarkably similar in sound and quality to the cream of the skinhead reggae crop: The Upsetters, Laurel Aitken, Harry J All Stars, Dave Barker and Ansell Collins, Clancy Eccles, Lloyd Charmers, Symarip, and The Pioneers, among others. 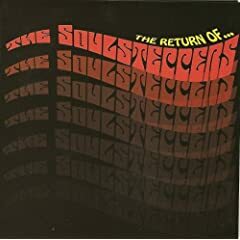 After first listening to The Return of the Soulsteppers, I was also reminded of the two King Hammond records that Bad Manners' Nicky Welsh lovingly created (if, at times, a bit tongue in cheek), Revolution 70 and Blow Your Mind, in the late 80s/early 90s (the story goes that when the debut King Hammond album was released, they actually passed some of them off to unsuspecting record store owners as a long-lost skinhead reggae classic--it's that good). 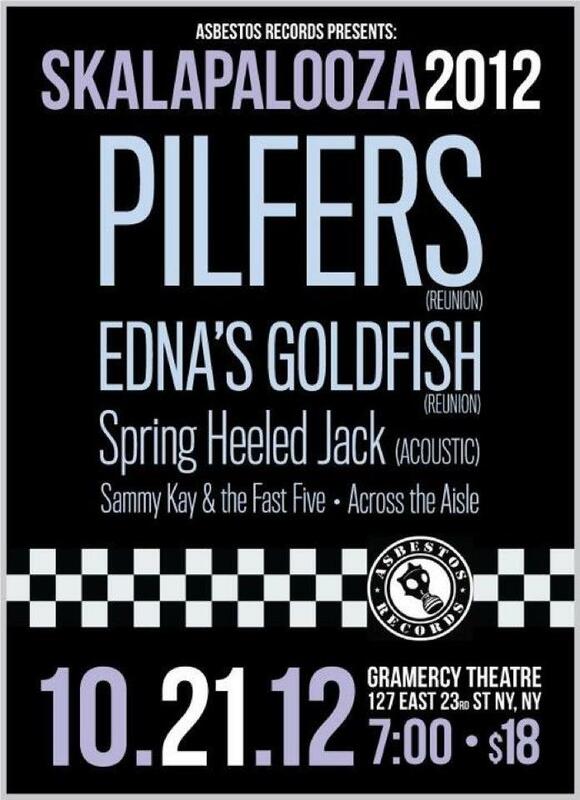 Indeed, The Soulsteppers are in good company. Here's a sweet interview with Dave Wakeling that came our way via Beacon Audio where he talks about why he tours in the US as The English Beat; learning the guitar completely wrong (but having Pete Townsend call him up years later in order to learn the chords for "Save it for Later"); what it's like having his guitar in the Rock 'n' Roll Hall of Fame; and the best part of performing live. 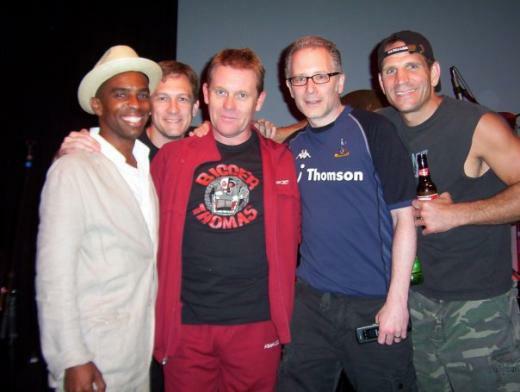 The English Beat are performing in the New York City area on July 12th at The Bell House in Brooklyn, July 13 at The Stone Pony in Asbury Park, NJ, and on July 18 with my buds Bigger Thomas at The Sellersville Theater in Sellersville, PA.
Also of interest are the deluxe reissues of The Beat's catalogue in the UK, plus the release of The Beat box set (The Complete Beat) in the US.